Charles Gagnon. Quebec artist designer filmmaker photographer. A website retracing the significant events in Charles Gagnon’s artistic practice. All images Copyrighted by The Estate of Charles Gagnon. All rights reserved. This document retraces the significant events in Charles Gagnon’s artistic practice. It does not, however, include his work in design nor most of his kinetic and sound environments. It is based on the documentation available on his body of work (in particular, retrospective exhibition catalogues produced by The Montreal Museum of Fine Arts in 1978 and the Musee du Québec in 1998) and from conversations with the artist. Written biography reproduced with the permission of The Musée d'art contemporain, from the catalogue produced by the Musée for the Charles Gagnon retrospective by the Musée d'art contemporain from February 8- April 29, 2001. Some works quoted in the text are accompanied by their catalogue number when they are reproduced. An asterik (*) indicates a touring exhibition. Original biography text written by Martine Perreault, and translated to english by Collette Tougas. 1934 Charles Gagnon was born in Montreal (Québec) on May 23. He was the third child borne to Jeanne Geoffrion (1898-1983) and Jean Gagnon (1900-1973), an insurance broker. Along with his older sisters Michèle (1924- ) and Louise (1925-2008), he grew up in a well-off and culturally open-minded home environment. 1942 Gagnon enters College Stanislas (Montreal) and around 1946 becomes initiated into painting and photography. 1948 He goes to Loyola College (Montreal) and pursues his photographic activities, capturing film bits of nature, friends, football games. 1950 Following studies at the École supérieure de préparation scientifique (Montreal), Gagnon reconciles himself to a career in his father’s office but soon feels alienated doing a job that contradicts his temperament and interest. A friend introduces him to the vitality of the artistic circle revolving around the Café Carmen, on Stanley Street in Montreal. Among others, Armand Vaillancourt, Lutz Dille and Jimmey Jones, who becomes a friend, have a studio there. Robert Roussil, Patrick Landsley, Vittorio (Fiorucci) and Guy Borremans are some of the other artists he meets in this buoyant cultural sector, at the beginning of the fifties. Around 1952, Gagnon picks up painting again and develops a genuine passion for music…especially jazz. During the winter of 1954-1955, he discovers abstract expressionism (then widely spread) and decides to study art in New York City, finally determined to follow his call. Born of a family which “asked for a little bit of rationalism…,”1 Gagnon chooses training in design. During his stay in the United States (1955-1960), he makes some sporadic visits to his family in Québec and takes the opportunity to travel, especially across the North Eastern region of the United States and Canada’s Atlantic Provinces. 1955 At the end of May or beginning of June, Gagnon settles in the American metropolis, it is in throes of an exceptional cultural transformation in the Arts, the stimulating environment arouses his creative curiosity and he is carried into a period of intensive production. Between 1950 and 1960, New York is experiencing a period unprecedented artistic efflorescence. The values of abstract expressionism, then the symbol of “liberal” American culture, are being challenged by the innovative input of artists like Robert Rauchenberg and Jasper Johns (arts), John Cage (music and performance), Robert Frank (photography and film), Merce Cunningham (dance) and Jack Kerouac (literature), soon to be joined by the next generation of creative talents of the artistic community that will dare to further explore artistic discourse. Gagnon will evolve in this context, rigorously leading both his academic training and artistic production. Registered at the Parsons School of Design, he enrolls, in 1956, in evening classes in painting with Paul Brach at New York University. The following year, he goes to the New York School of Interior Design, and frequents the Art Students League and the New York Institute of Photography. A cramped space in the basement of a building on 71st Street, near 2nd Avenue, becomes his studio. Before long, going to jazz bars, visiting avant-garde galleries (Sidney Janis, Martha Jackson, Betty Parsons, Kootz, Stable, Green), and important museums, becomes part of his routine. He reads magazines such as Arts, Arts News and It is (as of 1958), and is interested in American literature, especially the work of novelists John Henry O’Hara and Jack Kerouac. A particular interest in Eastern philosophy-zen Buddhism is initiated. He is fascinated by the ancient art exhibited at the MET, more specifically the Eqyptian, Mesopotamian and Mayan collections. 1958 In January, Gagnon presents a painting titled Bouvines in the context of the national exhibition Art: USA: 58, held at Madison Square Garden. Adolf Gottlieb is a member of the selection committee. Occasionally associating with residents of the International House (New York), he exhibits two oil paintings (“D’après un poème d’Aurélien Dallaire “Je t’aime”, and Signs Conquer) and a sculpture in steel, copper and bronze (Prototype of the Elite) during the Festival of the Arts in April; some months later, he produces the sets for the ballet Chout (The Baffoon, a work created by Prokofiev for Diaghilev in 1920), which was presented in December 1958. In October, he is represented by an oil painting (Disparition du Troisième) at the opening exhibition of Galerie Artek (Montreal), directed by Michel Lortie, an old school mate from Collège Stanislas who is also the son of important collectors of Borduas and Automatist work. Gagnon attends the vernissage and meets Claude Tousignant and Guido Molinari. Also included in the exhibition, among others, are works by Paul-Emile Borduas, Jean-Paul Riopelle, Alfred Pellan, Fernand Leduc, Rita Letendre, Charles Daudelin, Paul V. Beaulieu, Jean Dallaire, Suzanne Meloche, Denis Juneau, Fernand Toupin and Louis Belzile. That year, Gagnon meets his wife to be, Michiko Yajima, also a student at the New York School of Interior Design. After graduating from the New York School of Interior Design, where he receives the “Design Award” of the year, Gagnon works as a freelancer before getting hired by Harvey Probber (New York), a furniture designer and manufacturer with who he will work as an assistant for one year. Immersing him self in the galleries of the city he explores and is overwhelmed by the avant garde works he happens upon. This intrigue is particularly marked by the film Pull My Daisy from Alfred Leslie and Robert Frank. 1960 Gagnon returns to Montreal in mid-April, intent on getting married and deepening his artistic practice. He soon works his way into the Montreal scene and finds that he has “selective affinities” with the artists represented by the Galerie Denyse Delrue, in particular with Jean McEwen and Paterson Ewen. In June, he marries Michiko Yajima. The dining room of their apartment at 2055 Lincoln Street serves as a studio. The new space with its natural lighting will soon affect his painting. Gagnon produces his first landscapes and begins a series of landscapes-collages. As early as mid-October, the Galerie Denyse Delrue gives him his first solo exhibition where he presents paintings of the New York period, from the Tables/Tablettes group, among others. In November, he participates in the La Jeune Peinture exhibition at the Foyer of St. Helen’s Island (Montreal), and Trends 1960, Non-Figurative Painting in Montreal, at the Stable Gallery of The Montreal Museum of Fine Arts, an exhibition bringing together some twenty artists, such as Tobie Steinhouse, Jean McEwen, Marcelle Ferron, Edmund Alleyn, Suzanne Meloche, Gérard Tremblay, Jacques Hurtubise and Jean-Paul Mousseau. During the year, he takes part in two other group exhibitions: Montreal Painters, at Bishop’s University (Lennoxville, Que. ), and Les Peintres de la galerie – Œuvres de petit format…, at the Galerie Denyse Delrue. 1961 Birth of Monika Kin Gagnon in March. Mid-May, Gagnon participates in the 4th Biennial Exhibition of Canadian Art 1961*, an event organized and circulated by the National Gallery of Canada (Ottawa). His painting Landscape is among the seventeen works acquired by the Gallery to enrich its permanent collection. At the end of September, Gagnon is listed among the “promising young artists” selected to represent Canadian art at the Deuxième Biennale de Paris, a major exhibition presented at the Musée d’art moderne de la Ville de Paris. Guido Molinari, Toni Onley, Kazuo Nakamura, Claude Picher, James McElheron, Pierre Gendron, Yves Gaucher and Richard Lacroix round out the Canadian contingent participating at the event. The painting Beach (Plage) (cat. No. 30) is Gagnon’s contribution. In October, some twenty of his recent landscapes, such as Vallée/Valley, Été-Summer, July Painting No.1, Waterfield No.1 and Shooting Gallery (cat. No. 27, 28, 26, 29, 32), are featured in his second solo exhibition at the Galerie Denyse Delrue. The following month, he participates in a group exhibition organized by the Canadian Group of Painters at the Vancouver Art Gallery. In the course of the year, Gagnon begins a series of box-constructions built from sundry objects (small medicine chests, cans, toothpaste tubes, scraps of wallpaper, photographs, picnic plates, paint tubes, etc.). At the same time, three of his paintings are featured in the exhibition 19 Canadian Painters’ 62* at the J.B. Speed Art Museum in Louisville (Kent., USA). The body of work travels to two other American institutions and includes works by Ulysse Comtois, Rita Letendre, Guido Molinari, Jack Shadbolt, Michael Snow, Tom Gibson, Harold Town and Joyce Wieland, among others. In November, Gagnon exhibits together with John Fox at the Gallery XII of the Montreal Museum of Fine Arts. In contrast with the “classical” and “meditative” oil paintings of his partner, Gagnon proposes a selection of works marked with humour and fantasy, including five of his most recent box-constructions, such as The Window (Box#6)/La Fenêtre, Box #4, and No Vacancy (cat. No. 40, 36, 37). He completes his participation with a new sculpture showing the insides of a radio (tuned to CKAC!) and a group of paintings (such as Suburb). The critics are sensitive to the subversive aspect of Gagnon’s work. During the year, Gagnon produces his first windows, begins his Gap Paintings series and gets his first grant from The Canada Council. His pictorial work shows the same aesthetic concerns as those found in Henry Saxe’s work. He also takes part in the group exhibition Contemporary Canadian Art*, organized and circulated in Africa by The National Gallery of Canada. His contribution includes, among others, the paintings Momotaro, and Février/February (cat. No. 12, 38). 1963 In March, Gagnon show at the Jerrold Morris International Gallery (Toronto). The selection includes a variety of paintings from, among others, the Gap Paintings series. Birth of Erika Kyoko Gagnon in April. The Gap (cat. No. 43) is awarded an honorable mention at the 80th Annual Spring Exhibition of The Montreal Museum of Fine Arts. During the year, Gagnon participates in several group exhibitions: Contemporary Canadian Painting and Sculpture, at the Rochester Memorial Art Gallery, Rochester University (N.Y., USA); Arte de America y Espana* presented in major cities across Europe (Madrid, Barcelona, Paris, Brussels, London, Amsterdam, etc); 5th Biennial Exhibition of Canadian Painting 1963*, first hosted in England at the Commonwealth Institute in London before pursuing its itinerary across Canada; and Ten Montreal Artists, at the Hart House Art Gallery (now Justina & Barnicke Art Gallery) of the University of Toronto. 1964 In January, Gagnon proposes a body of work mainly composed of oil paintings, caseins and drawings, for his solo show at the Galerie Camille Hébert, a Montreal institution representing him since 1962. The paintings The Eighth Day/Le Huitième Jour, The Fourth Day/Le Quatrième Jour, and The Sound (cat. No. 46, 44, 45) are included. Birth of Eames Charles Gagnon in August. During the year, Charles Gagnon participates in the following group exhibitions: 81st Annual Spring Exhibition at The Montreal Museum of Fine Arts; World’s Fair International Exhibition at the Washington Square Gallery (New York); The Ninth Winnipeg Show, at the Winnipeg Art Gallery. 1965 This year marks a turning point in Gagnon’s practice - it becomes resolutely multidisciplinary, involving painting, photography, cinema, and sometimes kinetic and sound environments. For his participation in the Tokyo International Trade Fair of April and May 1965, Gagnon creates, in collaboration with James McElheron, a sculpture symbolizing “paper”, a product whose sale Canada wishes to promote in Japan. It is made out of a dummy covered with newspaper, installed in and chained to a blue shower cabinet. Among those invited to submit work, artists Elza Mayhew, Yosef Drenters, Michael Pine, James Boyd, Armand Vaillancourt and Gerald Gladstone create works symbolic of, respectively, aluminum, wheat, zinc, sulphur, wood and nickel. Le Huitième Jour II (cat. No. 47) is awarded an honorable mention at the 82nd Annual Spring Exhibition of the Montreal Museum of Fine Arts. In May, Gagnon rents a building located at 3 St. Paul Street West, in Old Montreal where he establishes his studio on the second floor. Soon after, he is joined by Yves Gaucher on the first floor, and, in the following year, by Jean McEwen on the third floor. This neighbouring will go on for several years, Gaucher leaving the premises in 1975, Gagnon and McEwen in 1990. Exploring the possibilities of a deductive type of structure, he produces oil pastel drawings with hand imprints during the year. This series originates from “an accident” reprocessed by the artist: his young son, whose sense of balance was still uncertain, had accidentally stamped the palm of his dusty hands in a painting in progress. The work is now part of the collection of the Art Bank of the Canada Council for the Arts (Grey Field/Champs gris, 1965-1966). Interested in the interactive potential of painting and the mechanisms of perception, Gagnon then produces paintings that incorporate surfaces of brushed and burnished stainless steel and aluminum. These include paintings in the Espace-écran/Space Blind series (among others), of which Espace-écran gris/Space Blind/Grey, and The Sound (cat. No. 54, 58) are included. Selected to design the Christian Pavilion at the Montreal World Fair, Gagnon embarks on this major project upon which he will dedicate most of his time for the next two years: working in collaboration with a committee of theologists, representatives of the eight major Christian Churches in the country; conducting conferences with artists and photographers; going through files at the Magnum Agency in New York and the photographic library of the Defense Department in Washington where he chooses most of the photographs required for the project; and finally producing sound tracks, along with a film entitled The Eighth Day/Le Huitième Jour, based on the theme of the Pavilion – a reminder that man’s freedom is constantly threatened by his own destructive will (impulse). He also participates in numerous group exhibitions: 6th Biennial Exhibition of Canadian Painting 1965*, opened at The National Gallery of Canada; Primer salon panamericano de pintura, presented in Cali (Columbia), in conjunction with the 5th National Festival of the Arts and Artistes de Montréal*, organized by the Musée d’art contemporain (Montreal). 1966 At the end of January or beginning of February, Gagnon attends the funeral of Québec composer Pierre Mercure (1927-1966), killed tragically in a car accident in France. He shoots scenes of a film which he will edit in 1970. From October 22 to November 4, he exhibits a selection of works at the Galerie Agnes Lefort (Montreal) from the Espace-écran/Space Blind series, such as Green Fields with Timescreen, and The Sound (cat. No. 57, 58). During the year, he does his first black and white paintings (Probe/Enquête series) and participates in the group exhibition Artists of Montreal, at the Stable Gallery of The Montreal Museum of Fine Arts. 1967 Gagnon embarks on the installation of the Christian Pavilion where his film The Eighth Day/ Le Huitième Jour (1966) will be presented. Both documentary and personal, the short film is a collage of images that conveys the dismal and cruel condition that human beings are subjected to when confronted by a world of warring nations, and an existence of ceaseless conflict. Widely distributed in Southern California and considered by some to have had a direct impact on the anti-Vietnam war movement, the film is awarded the Grand Prize at the Survival Fair Festival in Los Angeles in 1970. The Christian Pavilion, although controversial at its opening, receives laudatory reviews as well as an award from Popular Photography magazine for its exceptional treatment of photography in the context of the 1967 World Fair. In April or May, Gagnon produces eight serigraphs, assembled the following year in the album The Colour of Time, The Sound of Space/ La Couleur du Temps, le Son d’un espace (1967) (cat. No. 60). First presented at the Galerie Godard-Lefort (Montreal) the following winter, this edition - with its “plastic qualities” (excluding however the use of pure colours) and “sequential organization” 9 – is unique in Gagnon’s production. During the summer, Gagnon travels with his family to Japan where he meets photographer Hiroshi Hamaya and composer Toru Takemitsu, to whom he will dedicate his November Steps/Étapes de novembre (cat. No. 61) painting, whose title refers to a musical composition by the master, and in front of which the scenes of his second film, “Le Son d’un espace”, will be shot. In September, Gagnon joins the Department of Communication Arts at Loyola University (now Concordia), where he first teaches film practice and then photography until 1975. In November, Gagnon begins shooting his film Le Son d’un espace (1968), assisted by his wife. Essentially autobiographical, this slow and silent film describes, in a ritual-like atmosphere, the existential experience of the artist in relationship to his commitment. The sacred and contemplative mood of the work contrasts with the world of suffering and conflict evoked in the The Eighth Day/ Le Huitième Jour. Gagnon also participates in the major group exhibitions organized in conjunction with the Centennial of the Canadian Confederation and World Fair in Montreal. 1968 Gagnon produces several large paintings (such as Glory #1/Gloire #1, Gloire #2, and Space Blind/Dark/Espace-écran/sombre, cat. No. 65, 66, 63), as well as oil paintings containing a variety of objects, such a small chain (Chained Pairspace/Espace enchainés) or a plumbline (Fil à Plomb/Plumbline). He participates in the following group exhibitions: Canada Art d’aujourd’hui*, opening at the Musée national d’art moderne de la Ville de Paris, and subsequently presented in Rome, Lausanne and Brussels; 10 Peintres du Québec: Alleyn, Gagnon, Gaucher, Hurtubise, Lemieux, McEwen, Molinari, Pellan, Riopelle, de Tonnancour*, at the Musée d’art contemporain (Montreal) and the Musée du Québec (Québec City); 7th Biennial of Canadian Painting at the National Gallery of Canada; Canada 101, presented at the Edinburgh College of Art in conjunction with the 22nd International Festival in Edinburgh, Scotland. 1969 Gagnon goes through a period of doubt with regards to his pictorial practice and produces few works. He does exhibit one painting, (Étapes) Décembre (1968-1969), in the group exhibition Survey 69 at The Montreal Museum of Fine Arts. In March, an exhibition follows one by Jean McEwen at the Galerie Godard-Lefort, a selection of works from the Probe/Enquête, Glory/Gloire, Step/Étape, and Plumbline/Fil à Plomb series, among others, are exhibited. The Chained Pairspace/Espaces enchainés diptych (cat. No. 62) is also presented as part of the show. In the fall, Le Son d’un espace is screened at the Sixième Biennale de Paris at the Musée d’art moderne de la Ville de Paris. In December, Gagnon begins production on his fourth film titled R-69, which is a large red painting by Yves Gaucher that is to be included in the Grands Formats… exhibition opening the following month at the Musée d’art contemporain (Montreal). The painting is diametrically opposed to Gaucher’s previous studies on the notions of “non-space, non-physicality, non-colour, etc.” 10 Gagnon’s initiative seeks to document a very “baffling”11 yet inherent dilemma facing several artists of his generation (including himself) – the limits of applying formalism too strictly. In the summer, he contributes in the realization of the Spectrafonia Pavilion, a sound and light environment presented in the former Netherlands Pavilion on St. Helen’s Island (Montreal), and part of the exhibition Man and His World/Terre des Hommes 70. During the year, Gagnon travels, buys and renovates a farmhouse near Lake Massawippi, in the Eastern Townships (Québec), and continues his photographic production. He participates in the following group exhibitions: Peinture québécoise 1948-1970, at the Palais des Arts at Man and His World (Montreal); Montreal Painters, at the Rothmans Art Gallery, in conjunction with the Summer Festival in Stratford (Ontario); Eight Artists from Canada, at the Tel-Aviv Museum (Israel), bringing together Jean-Paul Riopelle, Alex Colville, Guido Molinari, Joyce Wieland, Gershon Iskowitz, John Meredith and Greg Curnoe. Gagnon’s submission includes the paintings Probe/Enquête and November Steps/Étapes de novembre (cat. No. 59, 61). His film Pierre Mercure, 1927-1966 (1970) is finally presented at The Montreal Museum of Fine Arts. For Gagnon, it is his “most personal and interesting” film. “It’s a sort of tribute to Mercure, a tribute which blends with my own understanding of life and death.”13 The work is presented in Germany at the Oberhausen Festival in 1971, in conjunction with a retrospective of Canadian cinema. 1971 Gagnon produces an ensemble of drawings, collages and ‘blueprints’, most of which no longer exist. In April, the Vancouver Art Gallery presents a major exhibition of photographs by Charles Gagnon that circulates across the country. The event is organized by the artist in collaboration with the National Gallery of Canada. Exhibiting some fifty photographs taken between 1966 and 1970, the body of work gives viewers their first opportunity to understand the elements that compose the artist’s photographic language. Feeling the need to refresh his ideas, Gagnon joins the photography workshops given by Robert Frank during the summer at Apeiron Work Shop of Millerton (N.Y., USA), there he will produce the multiple Millerton (cat. No. 70). Uncomfortable with the lack of privacy and the communal atmosphere he departs and sets out for Connecticut and the neighboring States (Maine, New Hampshire), embarking on a journey of intensive photographic exploration. The result will be shown in part at the Centaur Galleries of Photography (now Galerie Optica) in Montreal, in 1972. 1972 In January, Gagnon exhibits along with John Max, Michel Saint-Jean, Gabor Szilasi and Normand Grégoire in the Five Montreal Photographers exhibition at the Centaur Galleries of Photography. It is one of the rare places in Montreal, with Perception (Mackay Street), to support the dissemination of photography. Gagnon’s participation includes eighteen works, shown for the first time, from his stay in New England. The event is organized by Gagnon and William Ewing, the director of the Galleries (he was director of the Musée de L’Elysée in Lausanne, Switzerland from 1996 to 2010). 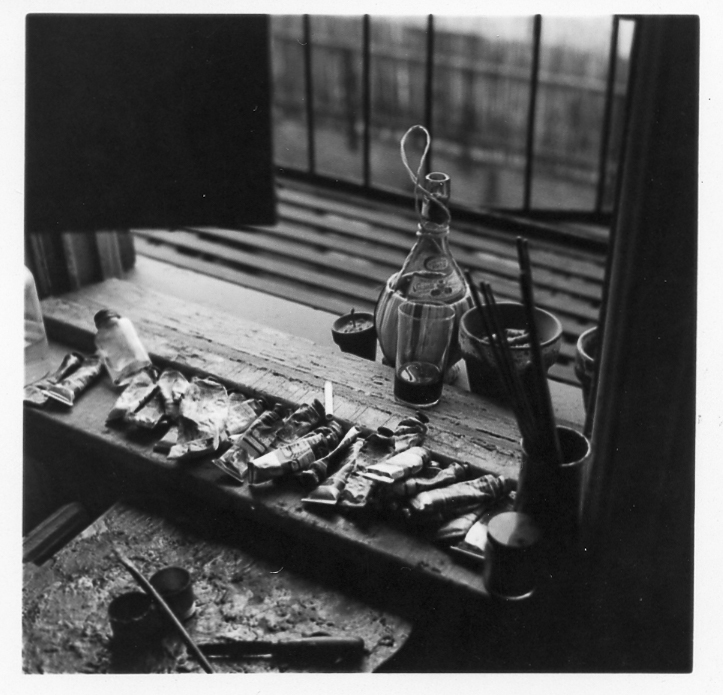 Gagnon constructs a studio adjacent to his farmhouse, where he produces several drawings and collages, such as Collage avec timbre”, Sans titre, Shift/Décalage, and Aceraceae (cat. No. 71, 72, 73, 74). 1973 Gagnon begins the Markers/Marqueurs series and produces new Espace-écrans/Screenspaces. He works both in Montreal and in his studio in the Eastern Townships. From mid-June to mid-August, his three films are screened as part of Canada Trajectoires 73, at the Musée d’art moderne de la Ville de Paris. 1974 In January, Gagnon begins work on Time-Screen, Thought-Space, a monumental triptych dedicated to the memory of Lester B. Pearson (1897-1972), the Canadian statesman awarded with the Nobel peace prize. Specifically created for the building where the Canadian Department of Foreign Affairs is located (Ottawa), the work, which the artist himself describes as a “spiritual telegram”14, comprises quotes from Pearson, Platon, Montaigne, and Camus, among others, and is a thematic extension of Espaces-écrans/Screenspaces series. It will be unveiled in June 1975. From April 20 to May 8, Gagnon presents recent paintings and engravings from the album The Colour of Time, The Sound of Space/ La Couleur du Temps, le Son d’un espace as part of his first solo exhibition at the Marlborough Godard Gallery (Toronto). That year, seven of his previously unpublished photographs appear in Ovo Photo magazine and six in Artscanada. Gagnon is present in the following group exhibitions: Aspects of Canadian Art, Albright-Knox Art Gallery (Buffalo, N.Y., USA); Thirteen Artists from Marlborough Godard, Marlborough Gallery (New York); Camerart*, presented at the Galerie Optica in Montreal, and the Canadian Cultural Centre in Paris. 1975 Gagnon produces the first paintings in the Splitscreenspace/Espace-écran divisé series. July marks the beginning of his teaching employment in the Visual Arts Department at the University of Ottawa. There he will teach photography, film, video, sound and mixed media, until July 1996. He also participates in the exhibition Four Québec Artists, at the Owens Art Gallery (Sackville, N.B.) along with Jean McEwen, Yves Gaucher and Guido Molinari. 1976 In his first solo exhibition at the Galerie Yajima (Montreal), a gallery directed by his wife, Gagnon exhibits some twenty photographs taken from 1969 to 1975, the show runs from January 13 to February 8. In March, he meets the American photographer Lee Friedlander, who is in Montreal for his solo exhibition at the Galerie Yajima (March 9-April 3), and is accompanied by friend and sculptor, Raoul Hague. Friedlander and Gagnon have since been friends. During the year, he purchases a SX-70 Poloroid camera for his photographic work, produces a few box-constructions, such as Sous-titre: Where Has the Eagle Gone and Lightwork/Afin de percevoir les choses… (cat. No. 87, 81), and begins the Cassation series (titled after a Mozart composition) where each work is made of two indeterminate spaces. Gagnon also participates in several group exhibitions: 5 Photographers [Five Photographers], Owens Art Gallery, Mount Allison University (Sackville, N.B. ); Cent-onze Dessins du Québec*, Musée d’art contemporain (Montreal); 1972-1976 Directions Montréal, Galerie Véhicule Art (Montreal); Trois Générations d’art québécois: 1940, 1950, 1960, Musée d’art contemporain (Montreal); Destination Europe: Seven Canadian Photographers*, opening at the Galerie Optica (Montreal) and then presented in England, Italy, the Netherlands and Spain; Forum 76, The Montreal Museum of Fine Arts; Canadian Contemporary Painters*, Harbourfront Gallery (Toronto), and the Canadian Cultural Centre in Paris, as well as some twelve major institutions in New Zealand, Australia, and England; OEuvres sur Papier : June Leaf, Charles Gagnon, Guido Molinari at the Galerie Yajima. 1977 Gagnon begins using a Minox 9mm (a small, fast handling camera) in his photographic work. He presents in several group exhibitions: The Second Dalhousie Drawing Exhibition, Dalhousie University Art Gallery (Halifax, N.S. ); 14 Canadians: A critics Choice, Hirshorn Museum and Sculpture Garden, Smithsonian Institution (Washington, DC); Painting Now XII, Agnes Etherington Art Centre, Queen’s University, (Kingston, Ont. ); Tendances actuelles au Québec, Musée d’art contemporain (Montreal); Transparent Things*, The London Art Gallery (London, Ont). 1978 In mid-May, Gagnon participates in the Festival of Performances, at The Montreal Museum of Fine Arts. Organized by Chantal Pontbriand, the event features some twenty performances involving some forty artists, including Lily Eng, Suzy Lake, Rae Davis, Raymond Gervais, Tim Clark, Peter Dudar, Eric Fischl/Paul Théberge/Carol Wainio, Max Dean, Louise Guay/Marc Cramer, Vicki Tansey, John Heward, Imre Murayni, The Young Adults and The Canadian Shadow Play. Working together on this occasion, Gagnon and Peter Froehlich reflect upon the diversity of discourses and mediums as an ever present babel of confusion threatening man (mankind), only to find release upon death. During the fall, The Montreal Museum of Fine Arts presents a major exhibition of Gagnon’s work, accompanied by a key publication addressing his complete body of work.15 The event is circulated in four other Canadian institutions (the National Gallery of Canada, the Vancouver Art Gallery, the Art Gallery of Ontario, and Winnipeg Art Gallery). Gagnon is also present in the following group exhibitions: Modern painting in Canada, at the Edmonton Art Gallery; and Tendances actuelles au Québec (Parts I-II), at the Musée d’art contemporain (Montreal). 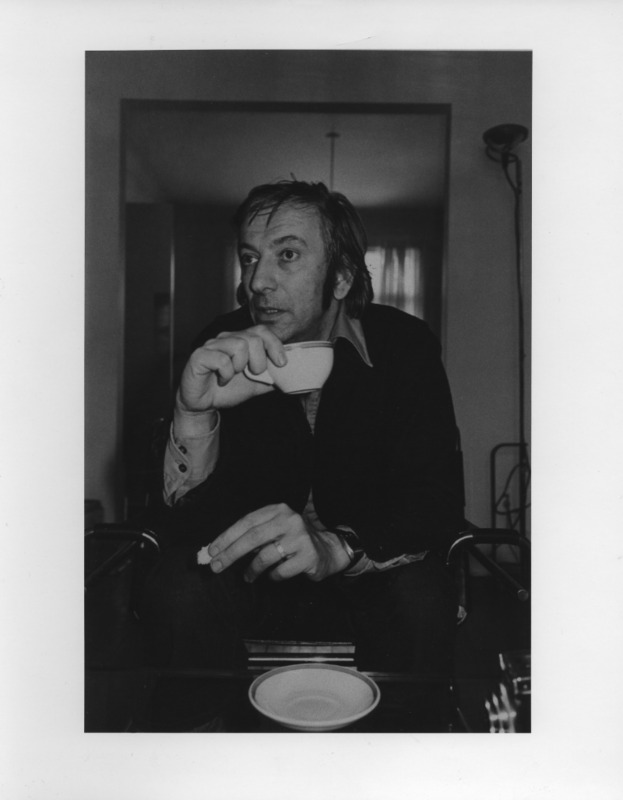 1979 At the beginning of March, he exhibits in Photography in Canada [Huit Photographes canadiens contemporains]. Presented at the Ryerson Polytechnical Institute in Toronto in conjunction with the conference Canadian Perspectives, the event also includes a selection of works by Robert Bourdeau, Lynne Cohen, Tom Gibson, David McMillan, Michael Semak and Gabor Szilasi. Gagnon participates in the following group exhibitions: Pasted Paper: A Look at Canadian Collage 1955-1965, at the Agnes Etherington Art Centre; The Banff Purchase: An Exhibition of Photography in Canada*, opening at the Walter Phillips Art Gallery (Banff, Alb.). 1980 In February, Gagnon exhibits a selection of landscape photographs taken with his SX-70 at the Galerie Yajima. Ian Baxter, Benno Friedman, John Pfahl, Gabor Szilasi, Serge Tousignant and Christian Vogt are also part of the show. 1981 Gagnon begins the Inquisition, Nul état…, and Quelles sont les… series. In mid-July, he is awarded the second Banff Centre School of Fine Arts National Award, a prestigious distinction given to Canadian personalities who have made a significant contribution for the advancement of literature, and the visual and performing arts. The award includes the Donald Cameron medal, a cash prize, and a short residency at the Banff Centre. Betty Goodwin (1984), Patterson Ewen (1987), Denys Arcand (1991), Michel Tremblay (1992), and General Idea (1993) are among renowned artists who later received the award in their respective disciplines. Taking advantage of his stay in Alberta, Gagnon produces an important group of photographs. After this trip, he contemplates pursuing his production in the desert of Arizona. Both places will strongly impact on his sensitivity. Gagnon also participates in the following group exhibitions: Twentieth Century Canadian Painting*, opened at the National Museum of Modern Art in Tokyo (Japan); Les choix de l'oeil: la photographie depuis 1940*, at the Musée d’art contemporain (Montreal). 1982 From mid-May to mid-June, Gagnon exhibits recent paintings from the Inquisition, Nul état…, and Quelles sont les… series for his second solo exhibition at the Galerie Yajima. During the summer, he participates in Esthetiques actuelles de la photographie au Québec: onze photographes*, a touring exhibition organized by the Musée d’art contemporain (Montreal) and first presented at the Ancienne Poste d’Arles (France), in conjunction with the 13th Rencontres internationales de la photographie, as well as in Brussels and several cities across Québec. The exhibition includes works by Raymonde April, Claire Beaugrand-Champagne, Michel Campeau, Serge Clément, Sorel Cohen, Pierre Gaudard, Normand Grégoire, Gabor Szilasi, Sam Tata and Robert Walker. 1983 From April 21 to May 21, Gagnon exhibits a selection of works from the Inquisition and Nul état… series, among others, at the Equinox Gallery (Vancouver). He travels across California during the spring and summer. Codes make their first appearance in his photographs, the result of the camera’s automatic digital marker on the negative. Gagnon is present in the group exhibition The Mountain: A Survey of Photography, at the International Center of Photography in New York. 1984 Travel and photography in Japan during the summer. His work is present, among others, in the group exhibition Responding to Photography: Selected Works from Private Toronto Collections at the Art Gallery of Ontario (Toronto). 1985 Gagnon participates in the following group exhibitions: Selected View: The Longstaffe Collection 1959-1984, at the Vancouver Art Gallery; Montreal Painting: A Second Look*, opened at the Memorial University Art Gallery (St John’s, N.S.) and presented in five other institutions in the Atlantic Provinces. 1986 Gagnon is among the twenty-two artists and writers who create works for a huge electronic billboard in downtown Toronto, presented as the Some Uncertain Signs project. Organized by Public Access and shown from February to July, the event presents works developed around various notions, among them the specificity of the medium, the status of public art and the construction of historical discourses. Michael Snow, Les Levine, Mark Lewis, Janine Marchessault, Barbara Kruger, Mary Kelly, Krysztof Wodiczko are some of the artists featured. Pro/Con (PROficiency/CONtradiction) is Gagnon’s contribution to the event. From mid-March to mid-April, his work is part of the exhibition-event Le Musée imaginaire de…, at the Saidye Bronfman Centre in Montreal. Pursuing his analysis of perception, he begins a series of paintings with stenciled words, such as Transition/Illusion/Refle[x/ct]ion, a large painting installation commissioned and installed in the hall of the Faubourg cinemas (Cineplex Odeon) in Montreal in December. 1987 The work of Gagnon is presented in exhibitions across Canada. 1988 From February to May, the Musée d’art contemporain de Montréal presents Ewen, Gagnon, Gaucher, Hurtubise, McEwen: à propos d’une peinture des années soixante*. The exhibition will be part of the program of the American Society Art Gallery (New York) in the summer of 1989. 1989 In February and March, Gagnon travels to Arizona to photograph in nature. The trip produces a collection of photographs that will inspire works in the Histoire naturelle and États et conditions series, among others. From October 28 to November 25, he exhibits a selection of paintings with words, such as Echo, Echo no. 2 and Continuum (cat. No. 111, 112, 114), for his first solo exhibition at the Galerie René Blouin (Montreal). For the occasion, the gallery publishes, in collaboration with Parachute Publications, an essay by James D. Campbell: Parmenidean Puzzles: Paradox and Discovery in the Paintings of Charles Gagnon. 1990 Gagnon begins États et conditions series. 1991 In the months that follow his second exhibition at the Sable-Castelli Gallery in February, Gagnon receives an honorary doctorate from the Université de Montréal and becomes a Chevalier de l’Ordre national du Québec. During the ceremony of official presentation of insignia, he meets the world renowned jazz pianist Oscar Peterson, an artist he discovered when he was fourteen and who contributed to his musical culture. From May 11 to June 30, the Galerie Verticale (Québec City) exhibits a body of photographic work by Gagnon. His work is also shown during the summer at the Musée du Québec, in context of the exhibition Un archipel de désirs: les artistes du Québec et la scène internationale. In September, Gagnon sets out on a long journey by car, driving to the outermost bounds of New Mexico. Over two thousand photographs, shot mainly in the American Mid-West (Dakota, Montana, Wyoming, Utah, Arizona, etc. ), will be brought back from this trip, during the voyage he sets up a rendez-vous with lifelong friend and photographer, Lee Friedlander, and they meet in Tucson, Arizona. During the year, Gagnon produces several works for the Histoire naturelle series. 1992 For his second solo exhibition at the Galerie René Blouin, Gagnon presents, from February 29 to April 11, works from the Histoire naturelle and États et conditions series. During the year, Gagnon is present in the following group exhibitions: The Crises of Abstraction in Canada: The 1950s*, organized by the National Gallery of Canada (Ottawa) and opened at the Musée du Québec; Montréal 1942-1992: L’Anarchie resplendissante de la peinture, at the Galerie de l’UQAM (Montreal). His film The Eighth Day/Le Huitième Jour is part of the Independent Eyes: 25 Years of Canadian Independent Film Distribution retrospective, organized in conjunction with the Festival of Festivals in Toronto. 1993 In the fall, Gagnon presents a few elements from his Histoire naturelle and États et conditions series, for his solo exhibition at the Edmonton Art Gallery. He begins the Table de matière series. He participates in the following group exhibitions: Pierre Dorion-Charles Gagnon-Will Gorlitz, Galerie René Blouin (Montreal); Une tradition documentaire? Quelle tradition? Quel documentaire? *, organized by Vox Populi and presented at the Maison de la culture Notre-Dame-de-Grâce (Montreal) in conjunction with the Mois de la photo a Montréal. 1994 From February 26 to April 2, Gagnon exhibits along Geoffrey James at the Galerie René Blouin. The body of work parallels a group of photographs of Asbestos mining sites (James) and desert landscapes of Arizona and Utah from the Table de matière series (Gagnon), among them Table de matière II and Table de matière III (cat. No. 124, 125). In March, the Sable-Castelli Gallery (Toronto) offers him his third solo exhibition. During the summer, the Galerie René Blouin (Montreal) presents Charles Gagnon: Champs/écrans/boîtes/mots/codes/histoires/tables. This retrospective like exhibition includes eleven works created between 1962 and 1991. Gagnon is present in the following group exhibitions: Contemporary Practice: New York by members of the Visual Arts, University of Ottawa, Carleton University Art Gallery (Ottawa); Gagnon, Rockburne, Tirelli, Palo Baldacci Gallery (New York). 1995 Gagnon receives the Paul-Émile Borduas Award. It is the highest distinction given by the Government of Québec in the visual arts category. To mark the occasion, the Galerie René Blouin exhibits six works that exemplify thirty years of creative production. He participates in the following group exhibitions: Muttum: Gerard Collin-Thiebaut-Charles Gagnon-Raymond Gervais, Rober Racine, Galerie René Blouin, in collaboration with the Galerie Rochefort (Montreal); Montréal Dada 1995, Chapelle historique du Bon-Pasteur (Montreal). 1996 Gagnon begins the photographic series Mythes. In November-December, he presents, among others, works from the Mythes and Histoire naturelle series, including Mythe I (A), Mythe I (B-C) and Histoire naturelle X (Loca Deserta) (cat. No. 128, 129, 123) for his fifth solo exhibition at the Galerie René Blouin. He is present in the following group exhibitions: L’art québecois de l’estampe: 1945-1990*, organized by the Musée du Québec; L'OEil du collectionneur, presented at the Musée d’art contemporain de Montréal. 1997 Participation in group exhibitions. 1998 A retrospective look at his photographic work, entitled Charles Gagnon: Observations*, is presented during the summer at the Musée du Québec. The body of work brings together 111 prints of identical size done between 1965 and 1991. The Canadian Museum of contemporary Photography (Ottawa) has already hosted the exhibition. Smaller versions will be presented at the Musée de l’Elysée (Lausanne), the Leonard & Bina Ellen Art Gallery at Concordia University (Montreal), as well as the Justina & Barnicke Art Gallery at the University of Toronto, in 2001. Gagnon is also among the sixty or so artists participating in Peinture Peinture, a major event entirely dedicated to abstract painting. Organized by the Association des galeries d’art contemporain de Montréal (AGAC), it is presented during the summer in various venues (commercial and university galleries, museums and exhibition centres) across Québec and Ontario. 1999 During the year, Gagnon begins the Ex Situ series, where photographic images are combined with textured surface monochromes. He participates in the following group exhibitions: Making it New (the big sixties show)*, Glenbow Museum (Calgary, Alb. ); Déclics – Art et société : Le Québec des années 60 et 70, Musée d’art contemporain de Montréal and Musée de la civilisation (Québec City); The Modernist Document, Leonard & Bina Ellen Art Gallery, Concordia University, in conjunction with the Mois de la photo à Montréal 1999. 2000 For his sixth solo exhibition at the Galerie René Blouin from January 28 to March 11, Gagnon presents works from the Ex Situ series, including the group of diptychs Ex Situ-Painted Desert/Arizona/Of Ground (cat No. 132, 133, 134,135). 2001 Presentation of the Charles Gagnon: A Retrospective exhibition at the Musée d’art contemporain de Montréal, from February 8 to April 29. A third trip to Arizona is scheduled. Departure time should be in February 2001. In April 2003, upon returning from the American southwest on a photographic journey, Charles Gagnon suffers a massive stroke. He lingers in a coma for several days and succumbs on April 16th, 2003.